From time to time, we invite industry influencers to write a guest post on our blog. We turned to our friends from @SproutSocial to share a success story on how a full-service digital marketing agency @Bloomerang_ implemented a chatbot strategy. Bloomerang Solutions is a full-service digital marketing agency that specializes in the floral industry, serving small businesses and large conglomerates alike. In addition to developing websites and implementing pay-per-click strategies, Bloomerang provides clients cutting-edge social media support with the help of Sprout Social and automated chatbots. As a member of Sprout’s Agency Partner Program, Bloomerang receives access to enterprise-level features, such as chatbots, at a price point specifically designed and scaled for agencies. In turn, it’s able to provide its clients with advanced services and functionalities. In a world where 1 in 3 people use social to seek advice or communicate with a business, updating social strategy is an imperative. The Bloomerang team knew it needed the right tool for the job, and Sprout stood out among other social media management platforms. As Bloomerang’s social offerings evolved alongside the larger digital landscape, the agency realized there was room to innovate while providing clients with a much-needed service. With Sprout Social’s Bot Builder, agencies like Bloomerang are able to create, preview and deploy chatbots in a matter of minutes. Everything from automatic welcome messages to pre-programmed replies can be used to ensure prospective buyers receive the responsive customer care they crave. In addition to greeting customers and answering commonly asked questions, chatbots can be designed to provide specific product and service recommendations, complete with calls to action and eye-catching imagery. Bloomerang encourages clients to focus on one issue at a time so they can create a chatbot that excels at a single task. This validates the value of the technology for clients and opens the door to expanding chatbot capabilities. “We make sure they can see how [a chatbot] benefits them with sales, or how it'll help with their customer service, or how it'll help them reach a younger demographic, and at the same time let them produce more product,” Higgins said. Bloomerang began offering chatbots as part of specific packages, but is now shifting to a more à la carte approach. Pricing is dependent on how in-depth the client wants to get with chatbot creation. Sprout’s intuitive Bot Builder makes it easy for Bloomerang to construct multiple sophisticated chatbots in a short period of time. The Conversation Map tool allows users to assign chatbots to specific social profiles and set up Welcome Greetings, Quick Replies and Auto-responses, as well as visualize multi-level workflows and preview the experience. The builder also supports the ability to add imagery, GIFs and CTA buttons that take users to external URLs. Chatbot maintenance also offers an avenue for revenue generation. Maintenance includes consistent updates and optimization, analyzing chatbot data to find out what people are asking and determining when they click to make a purchase. Businesses of all shapes and sizes find chatbots save them precious time, reduce customer service costs and generate leads and revenue, even after hours. Additionally, through Sprout’s Bot Report, you can easily prove the value of a chatbot strategy through comprehensive analytics detailing volume, performance and what topics are driving the most engagement. Chatbot technology also helps both Bloomerang and its clients differentiate themselves from competitors. The possibilities are seemingly endless, and the value of chatbots will only grow as digital consumers continue to expect increasingly responsive service on their channel of choice. Fortunately for agencies like Bloomerang and the clients they serve, Sprout Social is on hand to help. 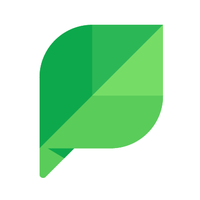 Want to learn more about how Sprout Social helps agencies? Find out more here.